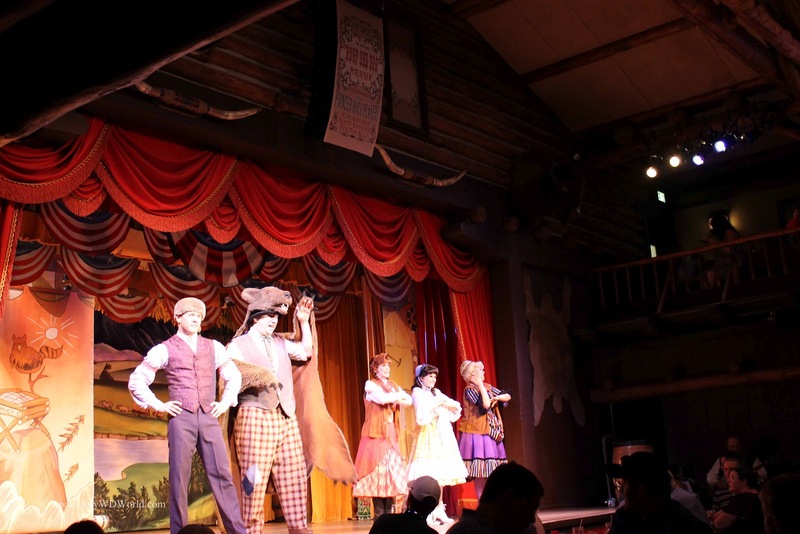 Tucked away at the Ft. Wilderness Campground you will find one of the Walt Disney World Resort's best shows for families to enjoy. 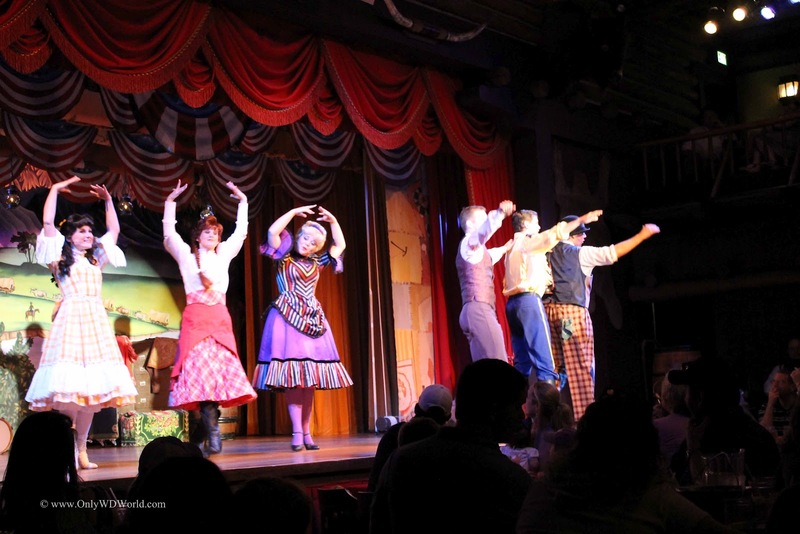 The Hoop-Dee-Doo Musical Review has been entertaining Disney World Guests since June of 1974 with its family friendly songs and comedy. This lively dinner theater provides a great night of entertainment that is different than the theme parks, but is still great Disney entertainment. 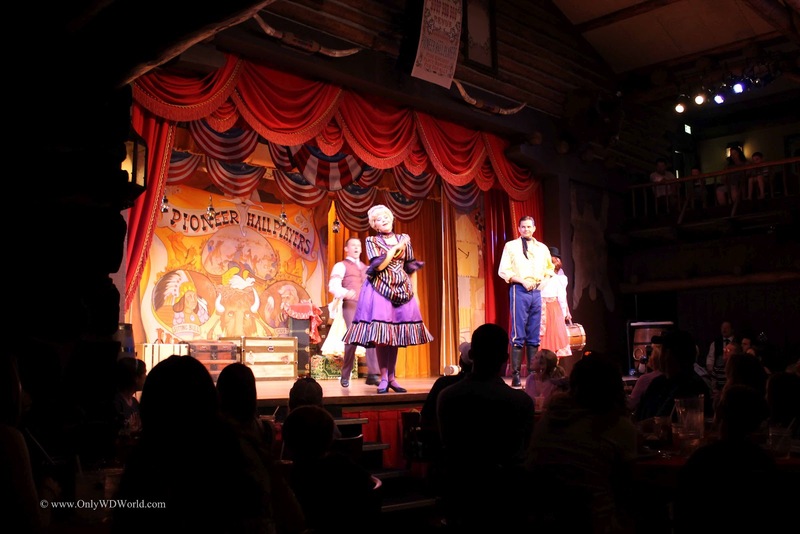 Even though there are 3 shows each evening at 5:00 pm, 7:15 pm, and 9:30 pm, you must make reservations ahead of time to get a seat at this popular Disney world attraction. 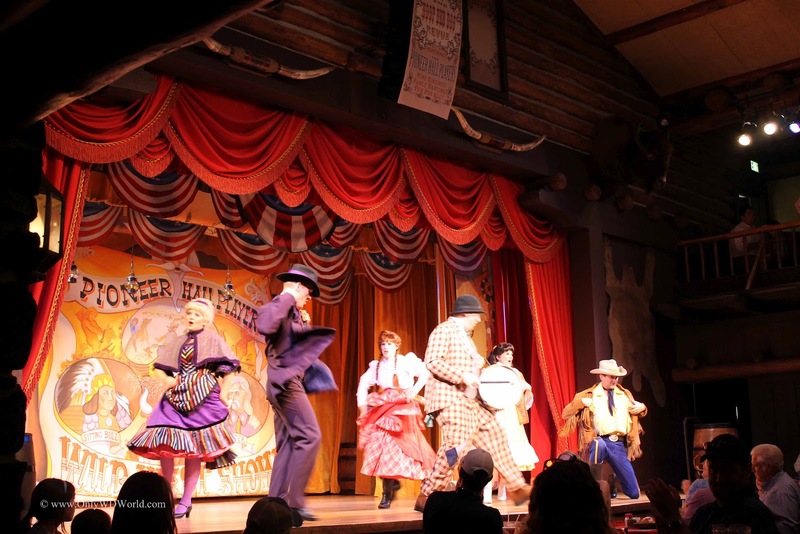 The action all takes place at Pioneer Hall which has been the home to this show for almost 38 years. 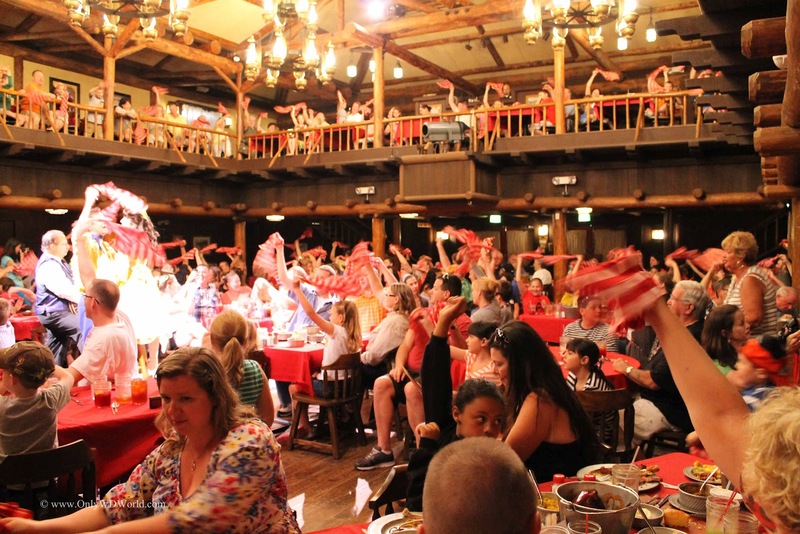 As with any dinner show, you want to enjoy BOTH the dinner and the show. 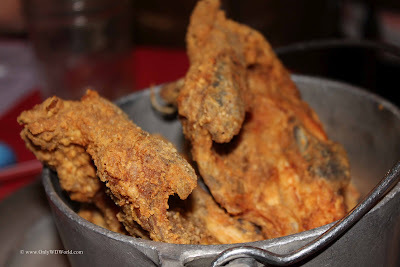 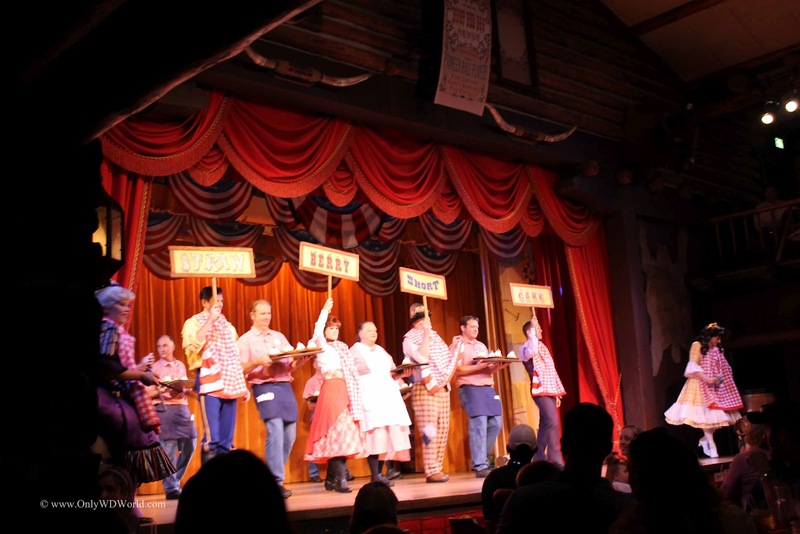 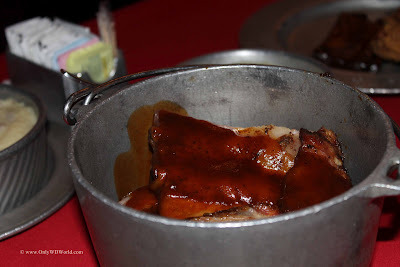 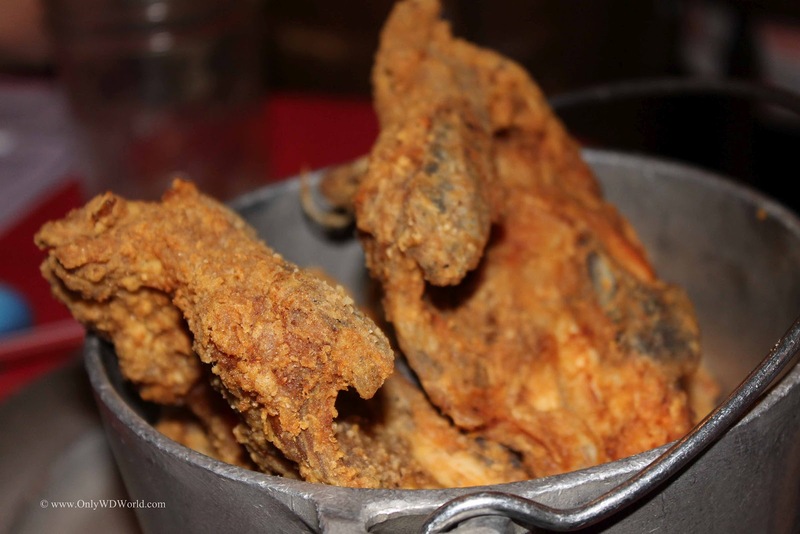 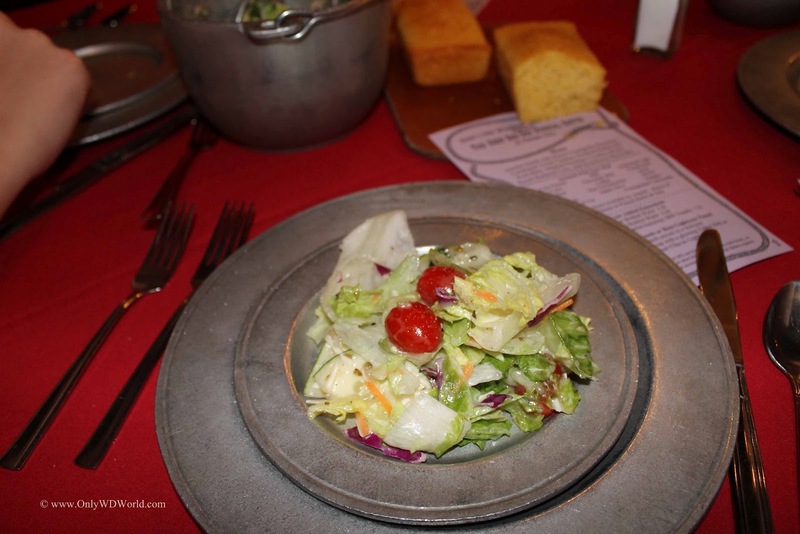 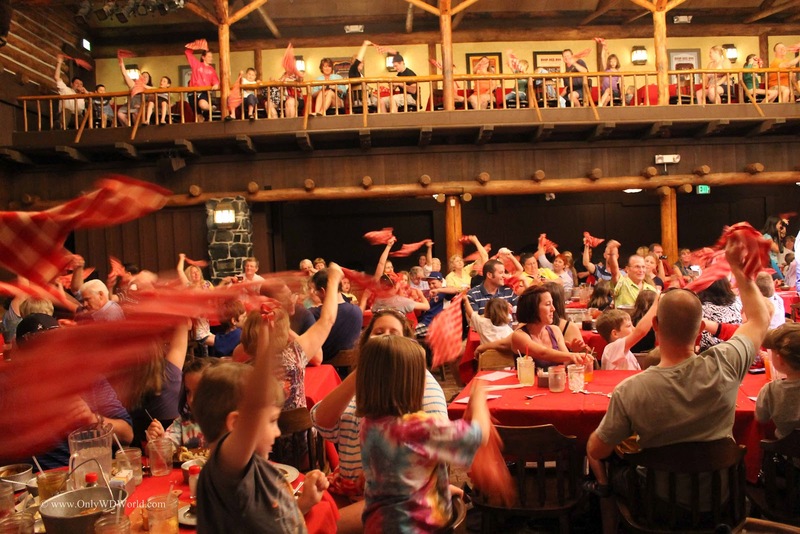 With the Hoop-Dee-Doo Musical Revue the dining experience is a down home barbecue served family style in an all you can eat fashion. 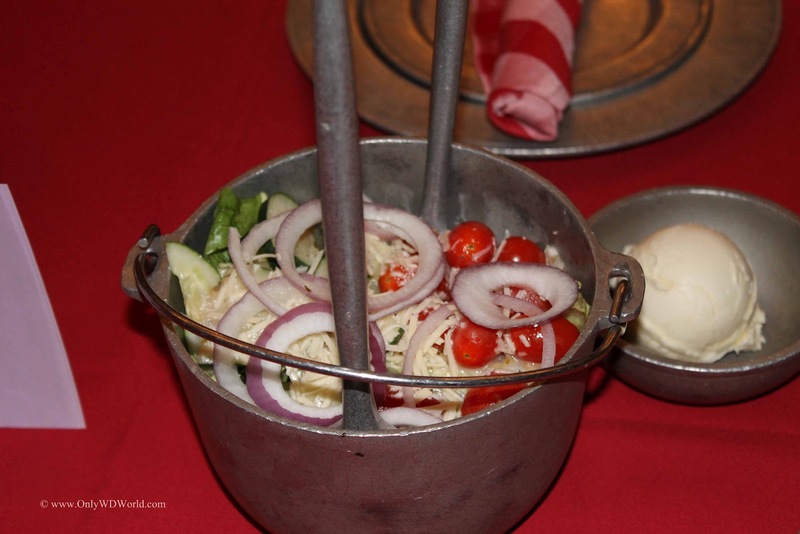 The dinner starts out with a salad and you soon learn that all of the food items are served in metal pots and the drinks are served in mason jars. 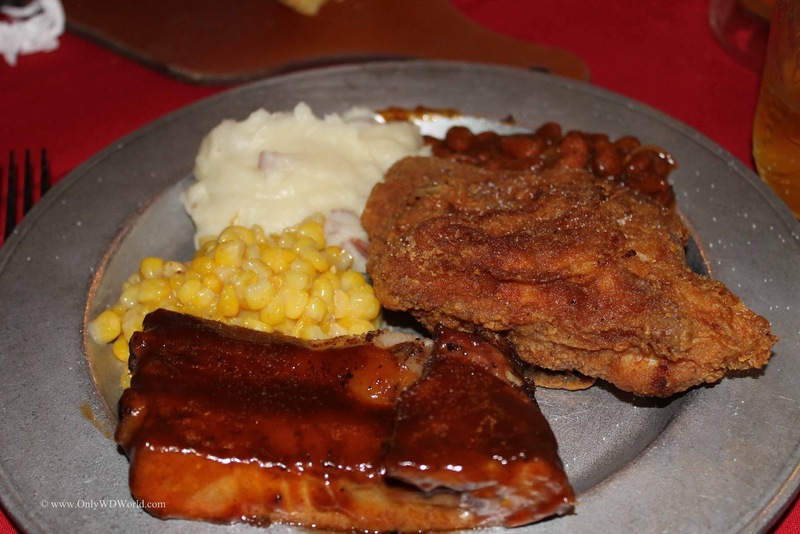 No fancy pretenses here, just down home good food, set to match the entertainment. The main entrees are Fried Chicken and Ribs. They both were very tasty and you could get refills on any item that you wished to have more of. 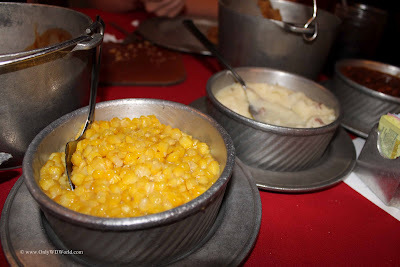 The side dishes included: Mashed Potatoes, Corn, & Baked Beans to go along with the great cornbread. 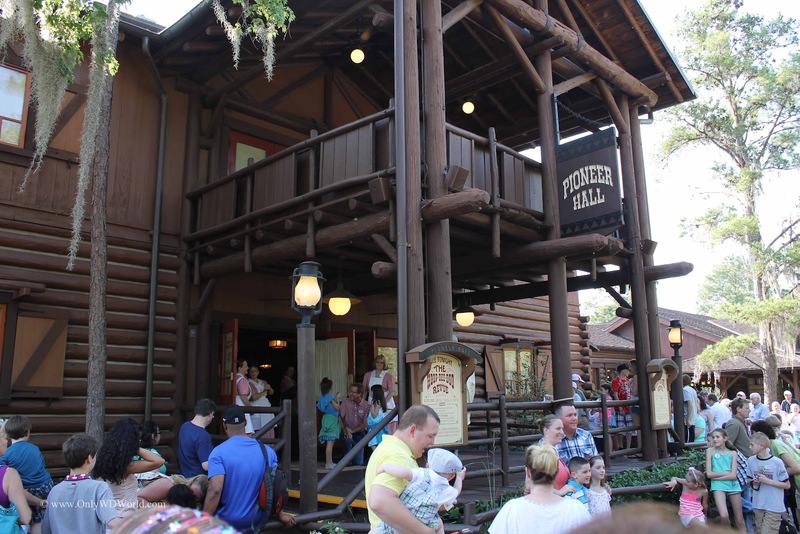 There is also a long list of beverages (free refills) that are included with the package price including soft drinks, beer, and wine. 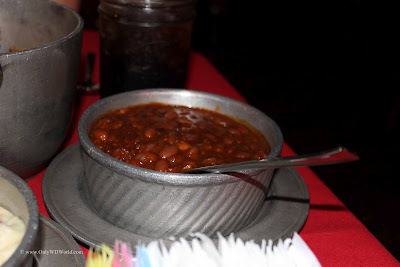 The final part of the meal was the dessert. The special Hoop-Dee-Doo Strawberry Shortcake was very good and definitely worth saving room for. 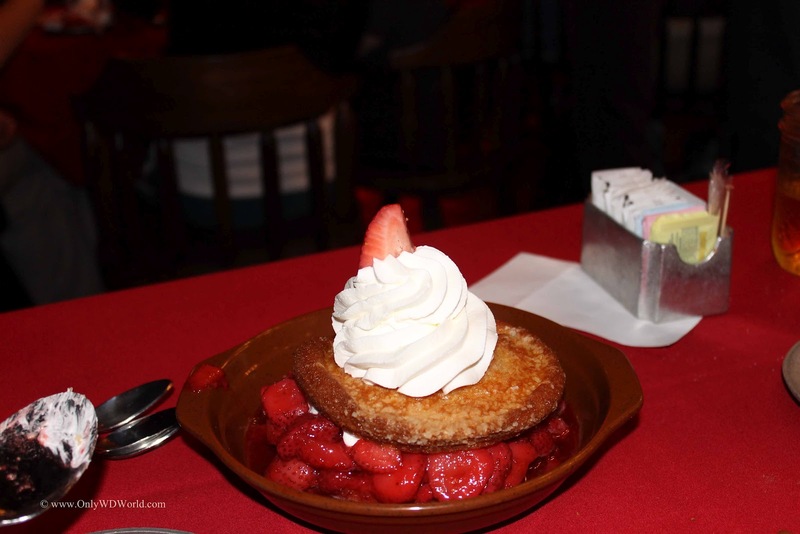 How many desserts have you had where a special song accompanies the presentation? Although the food was very good, the show was the most memorable part of the evening. After being prepped for the corny humor, I was afraid that our two teenage children that accompanied my wife and I would not enjoy the show. 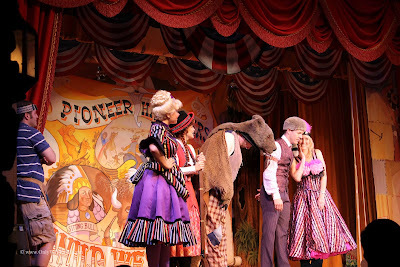 I could not have been more wrong. The Pioneer Hall Players had us ALL laughing throughout the show making this a highlight of our recent Disney World Vacation. The show consists of 6 talented performers singing, dancing, and performing comedy that involves the audience and is entertaining for all age levels. 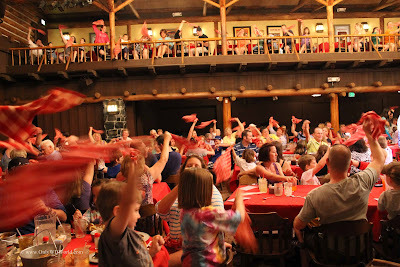 You will not believe how much fun you can have and may even find yourself twirling your napkins along with the rest of the Pioneer Hall crowd. 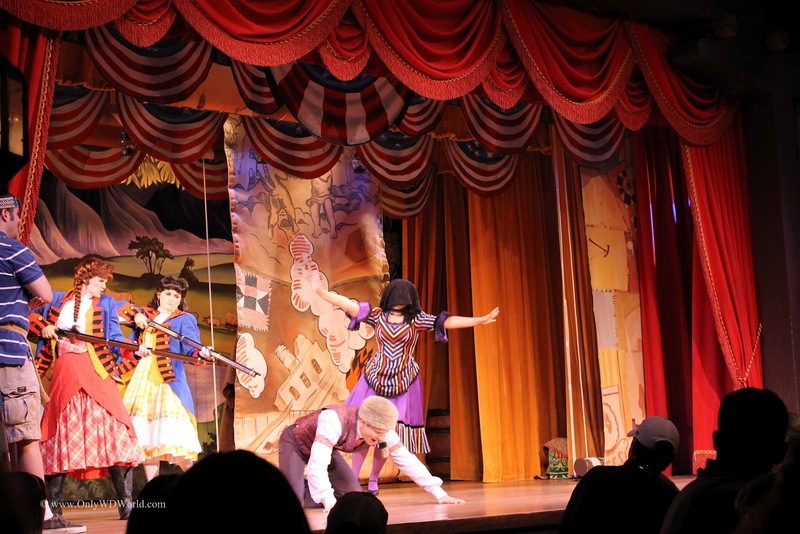 Volunteers from the audience even get into the action and become part of the show. 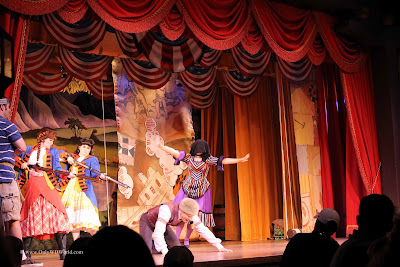 From start to finish this was a truly enjoyable show filled with an unbelievable number of laughs. The Hoop-Dee-Doo Musical Revue is an experience that I would highly recommend for people that are repeat Disney World Vacation visitors. 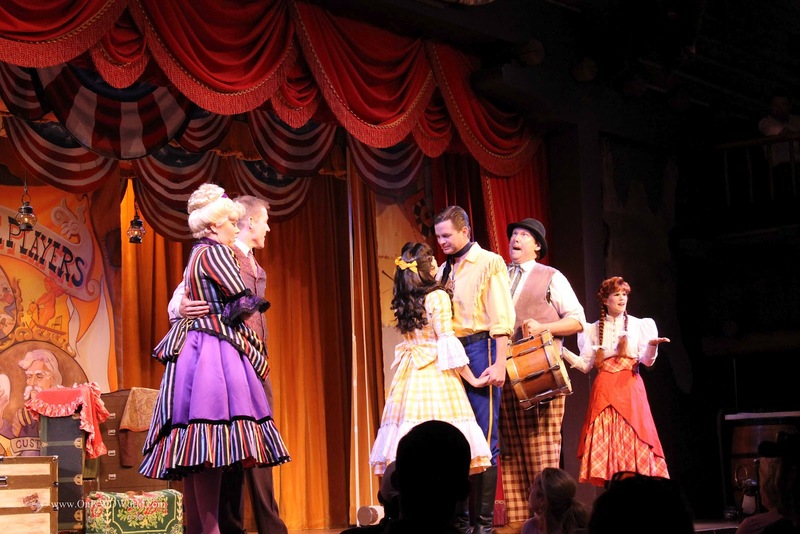 You may not choose to make this a part of every vacation, although some do, you should make sure that you experience this at least once. 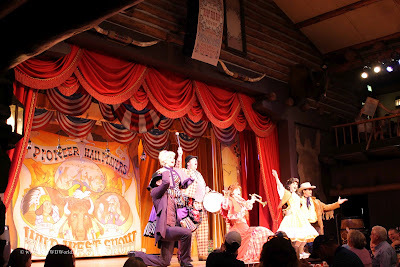 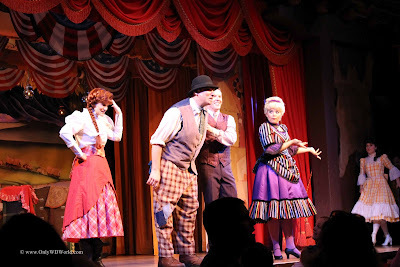 0 comments to "Disney World Family Fun At The Hoop-Dee-Doo Musical Revue"